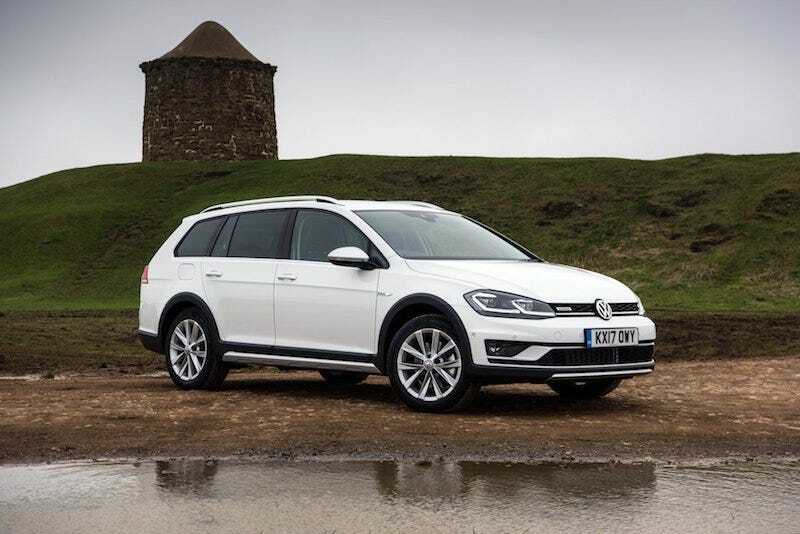 Reminder: the Golf Alltrack is now available with stick in the US for 2018. I was skimming FP’s review of the Jag SPERTBRAKE. Then I got distracted and started looking up more specs of the V70, V90, and the TourX. Then I remembered: HEY, you know what’s actually affordable? Golf Alltrack. Not only affordable, but I believe this is the only manual wagon you can buy in the US. Oh shoot no no no... There’s exactly one other actually! The .... Uh, regular Golf wagon. That’s it. I think. Also, the cargo capacity is excellent. Better than either Volvo, too. So what I’m saying is: here is a manual, AWD wagon new for under $30k in the US. I suspect this — and the regular Golf wagon — will be the last of their kind.